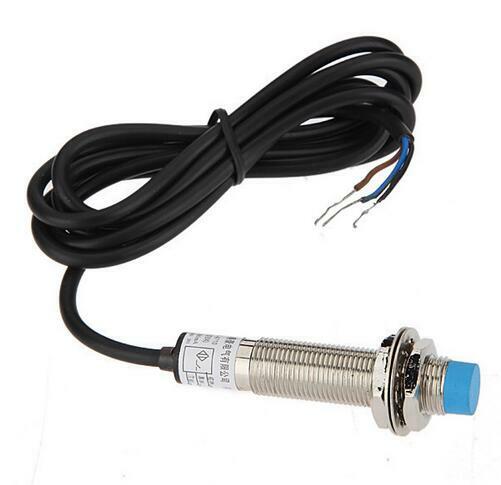 Inductive Proximity Sensor Detection Switch NPN DC6-36V 4mm Normally Open pximity switch LJ12A3-4-Z/BX, also known as Inductive sensors, metal sensors. For those who 3D print a lot or 3D printing beginners, manually leveling a 3D printer can be time consuming and a bit mysterious. Getting it “just right” requires a good eye and constant attention while printing the first layer. Well, here comes the Inductive proximity sensor switch for 3D printer auto-leveling. This inductive proximity sensor switch makes the auto-leveling function for 3D printers more accurate and convenient. This feature will enable your printer to take several bed leveling readings and calculate a level plane so your prints are always level. The switch contains high-frequency oscillations, a detection circuit, an amplifier circuit, a circuit solution, and an output circuit. When power is supplied to the switch, the oscillator in the high frequency oscillation circuit generates an alternating electromagnetic field on the detection surface of the switch.